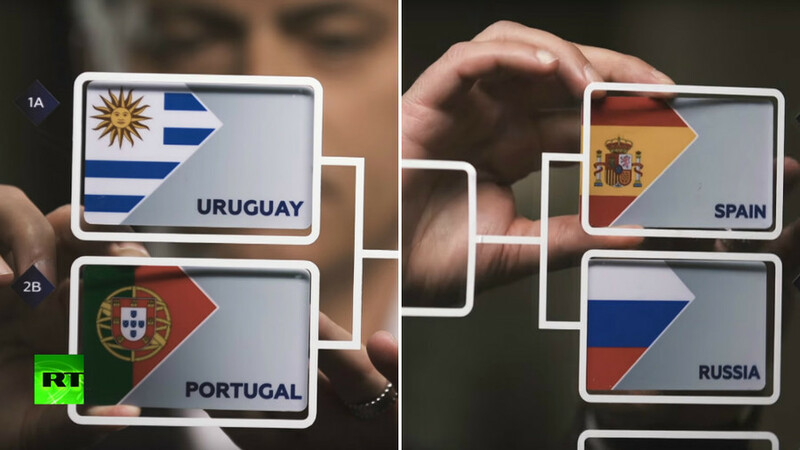 Jose Mourinho’s predictive skills proved spot on as he successfully picked the four teams that would emerge from World Cup Groups A and B as winners and runners-up. Ahead of the World Cup, RT special guest host Mourinho gave his tips for each of the teams to emerge from the eight groups in first and second place. The Manchester United manager picked Uruguay and Russia to get out of Group A in first and second place respectively, and so it proved as Luis Suarez and Co. dispatched the hosts 3-0 in Samara to seal top spot on nine points and consign Russia to second place in the group on six points from their three games. Mourinho also flawlessly foresaw how things would pan out in Group B – tipping Spain to squeeze out Portugal into second place. That’s how things finished as the pair played out thrilling draws in their final games, with Spain drawing 2-2 with Morocco thanks to an injury-time equalizer, and Portugal drawing 1-1 against a plucky Iran. The results saw both teams finish level on five points, but with Spain finishing top by virtue of goals scored. Mourinho has made predictions for each of the groups – as well as for the knockout stages of the tournament. Follow RT for more of Mourinho’s predictions as the World Cup drama continues.